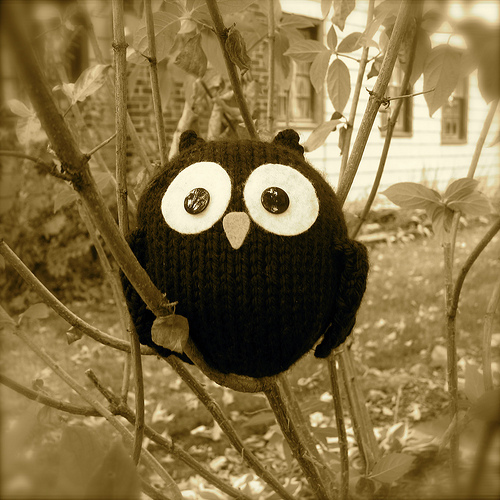 Little Black Owl, Perfect For Halloween! He’s cute. And easy too. Just knit in the round on dpns and you’re good to go. Make a whole bunch of them to hang in your trees, perfect for the season!